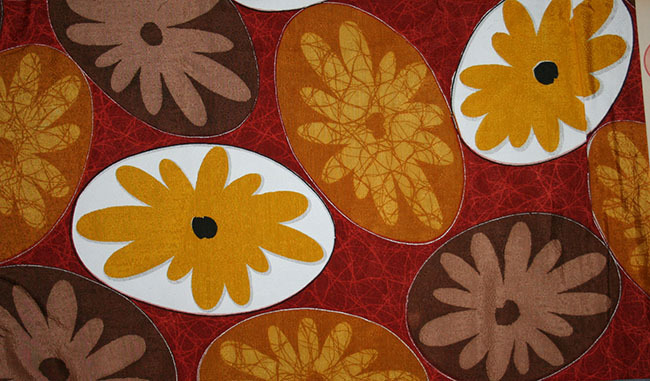 Kimoyes item: 21834 - Beautiful quality synthetic Japanese sample piece in bright colours. Beautiful quality synthetic Japanese sample piece in bright colours. This fabric is light weight with an overall pattern which appears to be embossed or pressed rather than woven. Although light in weight, this fabric is very strong and durable and would be great for cushions, bags etc. You can estimate the size of the flowers by looking at the 15 x 24 inch full length photo.